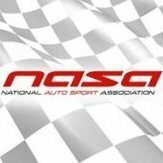 Was watching the 2018 championships online and was a bit disappointed how many combined racing classes there were per session, compared to the SCCA runoffs that tries to give each class their own championship race. Is that always the case? It depends on the car counts for each class/series. We do try to put classes together on track that minimize both out of class racing and large closing speed differentials.